A cut-resistant layer of special material is extremely resistant to power tools. For drilling machines, grinder or chainsaws, the material provides reliable protection. It was designed for the use in doors, walls (also drywall), containers and vehicles. The material has a thickness of 5 to 10 mm and its density is 1.0 to 2.5 kg / m². 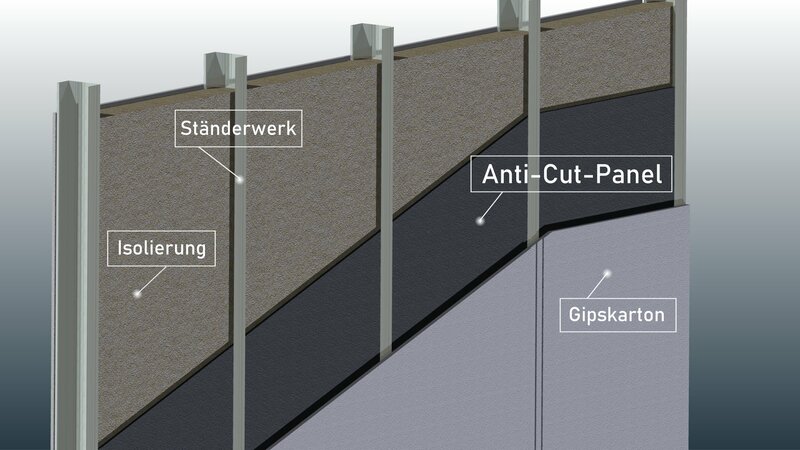 In combination with other materials, an individual safety structure can be realized. It can be burglar resistance, bullet resistance or blast resistance.